Defining Business Casual | Ace Uniform Services, Inc.
Business casual is frequently interpreted wrong. Here is what you need to know. Just about everyone without employee uniforms uses the term business casual to describe their office dress. However, what does business casual actually mean? 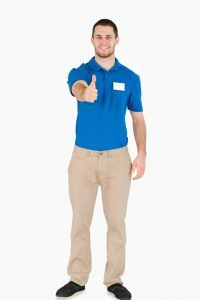 Is your company image benefitting from a business casual dress policy, or could you do better with an employee uniform policy in place? Here’s what you need to know about business casual dress. Khaki, twill, or cotton pants or skirts. Skirts should be knee-length or longer. Why is Business Casual a Good Idea? How Can Business Casual Backfire? This entry was posted on Friday, August 4th, 2017	at 8:00 pm	. You can follow any responses to this entry through the RSS 2.0	feed. Both comments and pings are currently closed.